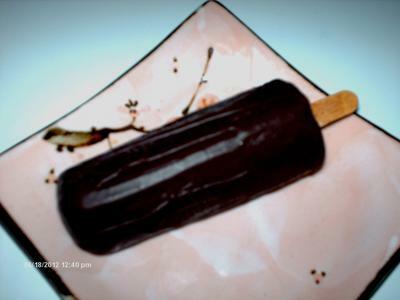 My favorite nondairy ice cream is Raw Vegan Ice Cream Bars Covered In Raw Chocolate by World Class Raw Desserts. It's a small company based in South Florida. They come in two flavors- chocolate and vanilla bean. Believe me you need to taste these! Everybody in Parkland is screaming for them. The chocolate flavor is so rich and creamy- it reminds me of Belgian chocolate. You can taste them at "Nuage Cafe", Parkland Florida or "Simply Natural Organic Cafe" in Sunrise Florida. Your enthusiasm definitely caught my interest, so I just looked up World Class Raw Desserts, and it sounds amazing! They use raw cacao as well as other raw ingredients like cacao butter, agave syrup, shredded coconut, raw nuts, dates, and Himalayan sea salt. They don't use any preservatives, sugar, flour, soy, or dairy products. In addition to the chocolate and vanilla ice cream flavors, they also have mocha, coconut, and maple butter flavors listed on their website. You can add pistachios to any ice cream order. They make other raw chocolate treats, like bark with walnuts, pecans, pistachios, almonds, raisins, or cherries, or a combination of any of them. They make a line of dehydrated cookies in either vanilla or chocolate macaroon and an energy bar with hemp, chia, and flax seeds, loaded with raw cacao. I even see a line of raw cakes such as raw key lime pie, strawberry cheesecake, pumpkin pie, carrot cake, apple crumb cake and tiramisu. On their website they list the ingredients and everything looks amazing. The problem seems to be that it definitely is a small company now and only has those two locations in which you can try the raw chocolate ice cream. You can place an order through their website, but I imagine shipping costs could get pricey.